After a long week of business travel, you finally arrive home to find your next job: finding, organizing, and filing all of your expense receipts. For many, the process is highly manual requiring collection of paper receipts, archaic submission processes, and long lead times for reimbursement. Expense management is costly. In fact, it is estimated that a company will spend approximately 10% of its annual budget on expenses forcing companies to reevaluate how it manages this growing cost center. Enter Concur, a cloud-based app that provides solutions for expense management, travel booking, and invoicing and spend management. Concur makes expense management easy so that companies have a real-time picture on employee expenses and so that employees can get reimbursed in a timely manner. The app makes life easier for everyone. Smooth, efficient, and timely expense management requires seamless workflow across finance, HR, operations, and payroll. In fact, companies get the most value out of expense apps when they are integrated fully with other core business apps. From the time when employees file expenses to the time they get reimbursed, Concur needs to sync data with other apps at every stage of the process to automate expense management workflows. For example, consultants working on a large-scale engagement should have expenses automatically sent to the company’s invoicing app when they file so that clients receive expense reports in a timely manner. Without this level of automation, consultants must manually enter expense reports into a spreadsheet, print it out, tape receipts to paper, submit it to finance who will then re-enter the data in their invoicing system. Manual data entry is fraught with challenges: timeliness, accuracy, and omission all result in processing delays and additional costs putting customer relationships at risk. Integrating with Concur can be very challenging. When creating an integration that inputs your data into Concur, custom data specific to your company can be stored as multi-level linked lists from a single level (like “customers”) up to three or more levels (such as “client, departments, and projects). Integration solutions need to be powerful enough to handle such multi-level business data and flexible enough to meet your company’s specific needs, not require you to change the way you structure your data or run your business. Custom point-to-point integration solutions fall short. Triple level lists of customers, departments and projects up to all five levels. Further, Workato helps you preserve the structure of your data. You can add a validation to filter only the data objects you wish to sync be it customers, projects, departments or something else. When creating an integration that reads expenses from Concur, you will need the ability to preserve the unique structure of expense reports and the versatility of being able to choose the stage at which expense reports are transferred. Workato’s Concur solution gives you that flexibility to navigate the Concur system and put in rules that captures your business logic to carry out such automation accurately. 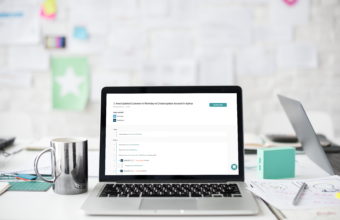 Workato provides a library of ready-made Concur recipes that you can instantly use to connect your business apps. Alternatively, you can use our do-it-yourself platform to create your own app integration recipes. 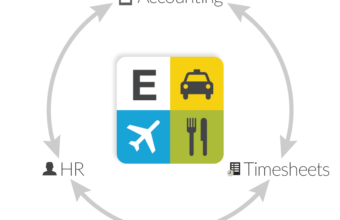 Automatically sync your timesheet and expense management apps. With this recipe, your employees will have full clarity about which projects are currently open and which they should be billing expenses to. When expenses are approved in Concur, this recipe will create a corresponding expense sheet for the corresponding project. Make sure all of your systems have the most updated expense information. With this recipe, your timesheet app, Replicon, will receive approved expense report information from Concur and connect it to the applicable project. This allows users to monitor project budget in real-time. Expenses can also be transferred as itemized rather than in aggregate form giving the user even more visibility. Take the mystery out of expense management. Use this recipe to setup notifications for when expenses are approved. This recipe will email any employee you indicate when an expense is approved so that your team isn’t left in the dark.